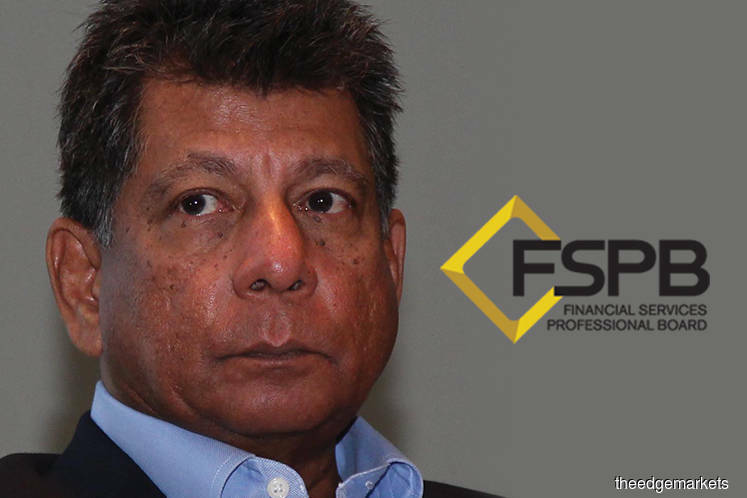 KUALA LUMPUR (Oct 5): The Financial Services Professional Board (FSPB) today launched the Guidance Notes to Code of Ethics (CoE) to instil a culture of development and professionalism in the industry through the advocacy of professional and ethical standards. The FSPB is a voluntary industry-wide initiative focused on the development of professional and ethical standards across the financial services industry. The FSPB CoE, which was launched in January 2016, outlines a set of five broad fundamentals. In a statement today, FSPB chairman Tan Sri Dr Mohd Munir Abdul Majid said the Guidance Notes provide additional guidance and explanation on how each of the principles in the CoE applies in practice through appropriate policies, procedures and processes within an organisation. "These notes explore how the five principles can be achieved and applied in organisations across the financial services industry. "The CoE complements the formal system of regulation and contributes towards public oversight of the FSI (financial services industry) through a code developed by the industry, for the industry, in the public interest," he said. Mohd Munir highlighted that the Guidance Notes do not replace any existing laws, regulations and codes. He said organisations could use the CoE principles to assess if they have the proper policies and procedures in place. He said the Guidance Notes include a summary of recommended policies, procedures and processes under each ethical principle, a list of do's and don'ts, common scenarios faced in the financial services industry and suggested responses. Mohd Munir said the Guidance Notes were drafted and revised following consultations with the industry, including a two-day workshop with members of the financial services industry in February this year, and reviewed by Bank Negara Malaysia and the Securities Commission Malaysia.